Blog Free Carpet Clean in March! Free Carpet Clean in March! 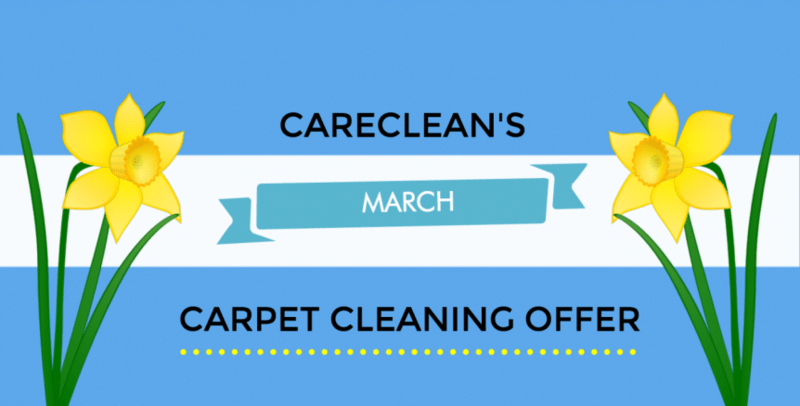 Careclean’s March Offer – Free Carpet Clean! Wow, have you noticed how fast the months are whizzing past? On the 20th March, it will be the first day of spring… and it’s certainly feeling that way with the beautiful weather we’ve been having over the past few weeks! Now is the perfect time to do a little spring cleaning, so how about a free carpet clean to give you a kick-start? We can help you get your home looking beautiful this spring. …and Get a Carpet Cleaned for FREE! At Careclean Essex, we use top of the range cleaning tools and equipment on each and every carpet clean. Our thorough cleaning process gets your carpets looking gorgeous and most importantly, ensures they are hygienically clean. Furthermore, we also use lovely smelling, non harmful solutions to give your carpets that fresh spring smell. How do I claim The March Offer and my Free Carpet Clean? 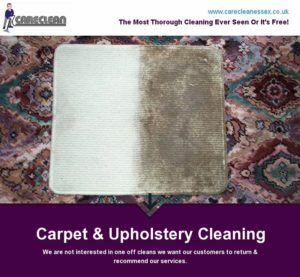 To claim your Free Carpet Clean, call our friendly and professional team during March on 01245 323 989 and quote ‘Careclean’s March offer’. We will then arrange a convenient time to come and give you a free quote. Once you have booked in to have your 3 piece suite cleaned and protected, a carpet of your choice will be cleaned for free (upto 150 square feet). Happy Spring, from the Careclean Team!